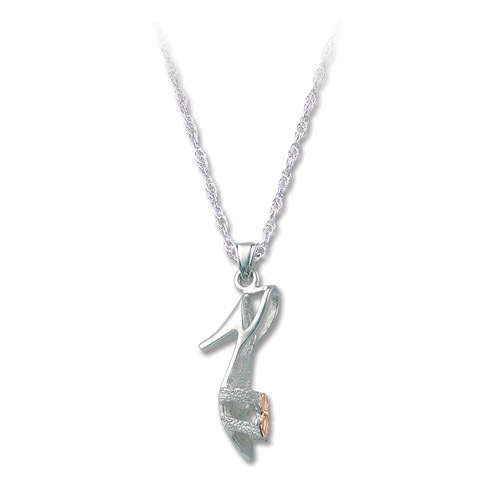 Desc: Landstrom's Black Hills Gold Sterling Silver high heeled shoe necklace. The lady's high heeled shoe is Sterling Silver with rose and green gold leaves on the toe strap. The chain is Sterling Silver.